After the last week of stress and finally getting baby Jack home from hospital this theme seems to be quite apt don't you think. 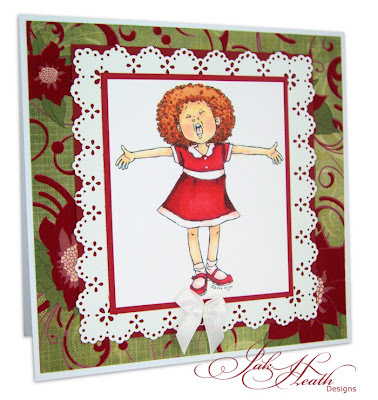 The image I love ya Tomorrow is a digi image by Mo Manning and it is sure to bring some sunshine into your card making. OK how many of you broke into song whilst reading this? I've been singing since starting the card and still singing whilst posting it here for you ha ha ha. Coloured with Promarkers, Martha Stewart around the page punched used, Kaisercraft background paper and a little pearl bow embellishment and a bit of love to bring it all together. 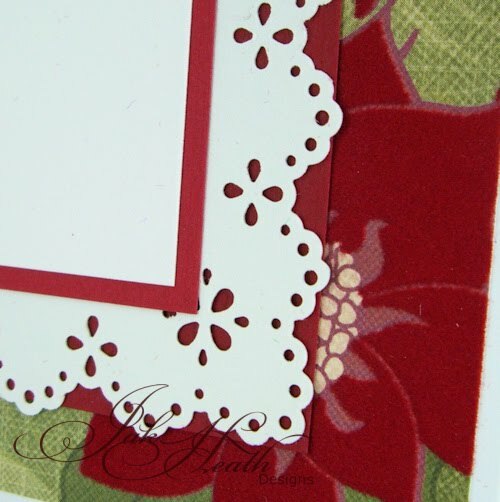 I had to make the attention to detail the backing paper by Kaisercrafts, it is so tactile that it would have been a shame not to showcase it, this is one of the flocked sheets from the Belle paper stack. Great to see a beautiful card & no sadness here!!! ;-) And yes, I was singing in my head!!! LOL!!! LOL!! too funny you have us all singing now!! Beautiful card! That paper is just yummy!!!! Yes I also joined your chorus. Love the image. That paper is gorgeous. I am going to have to get this one .. Annie is my daughters fave film - she has it on her ipod and plays it over and over! "Betcha bottom dollar", this is so sweet, love the image and that DP is scrummy. 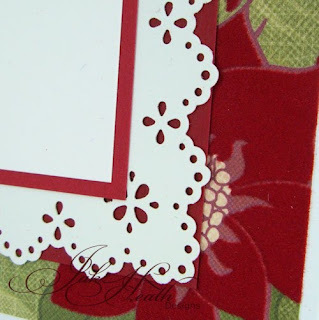 Fabulous card Jak, and just love that background paper, it's stunning. Fantastic colouring Jak. Just lovely yu can tell you are a Happy Bunny :0) Hope Jack is progressing well. Hi Jak so glad Jack is home & smiling..love this stunning creation fab layout great image & DP's love it. great to know that Jack is getting better..
Been missing for a wee while, Jak, so missed the post about poor wee Jack. I'm so glad he is home and on the mend - poor wee soul. Your card today is so cute and that paper looks delicious. What a little master piece she is. I have this one Im sure I wont paint her as lovely as yours.